Travelling alone in Bali is great! There are so many other backpackers around and moving from one area to another is easy and cheap. There are also plenty of activities available for a solo traveller, whether you prefer solitude or are looking forward to meeting new people. Having started my Bali adventures by travelling solo I would say I never felt unsafe. I bet that’s mostly because I stayed in busy areas, booked myself into group trips and kept my guard up while meeting the helpful local guys during night hours. Most young solo travellers still come to Kuta, the party-central of Bali with lots of cheap accommodation, shopping and full-on nightlife every day. Kuta might be a good place to start, especially if you want to meet new people and make friends but it will become exhausting after a couple of days. For a quieter, more upscale area go to Seminyak just 10 minutes drive from Kuta. It has the beaches, shopping and good nightlife without the super-wasted youngsters. One up-and-coming area is Canggu, around 40 minutes north of Kuta. It has been chosen by cool hipster people as the place to stay in. It has beautiful rice field surroundings, good surf spots, yoga shalas and hip cafes and restaurants to hang out at. Most people who stay in Canggu never even leave the area because it has all they need. 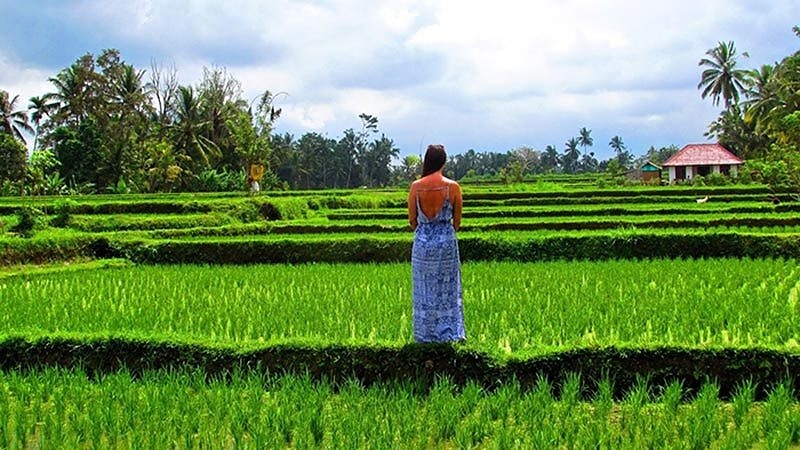 For someone looking for peace and tranquility I would recommend Ubud, the spiritual centre of Bali, located inland about a 1,5 hours drive from Kuta. There’s plenty to see and do and many other travellers but no big party scene. Accommodation can usually be booked on arrival. Especially Kuta and Canggu areas have plenty of homestays and small cheap hotels where single occupancy fan rooms start from around Rp.150 000 and AC rooms from Rp.300 000. Check out recommendations online and browse through Agoda for good deals. During peak seasons (Christmas, New Years and July-August) it might be a good idea to book in advance. Sometimes you can find really good deals on Airbnb. Couchsurfing is also a good option, but make sure you start looking around early enough to find something that suits you best. Facebook is a good place to start your search. 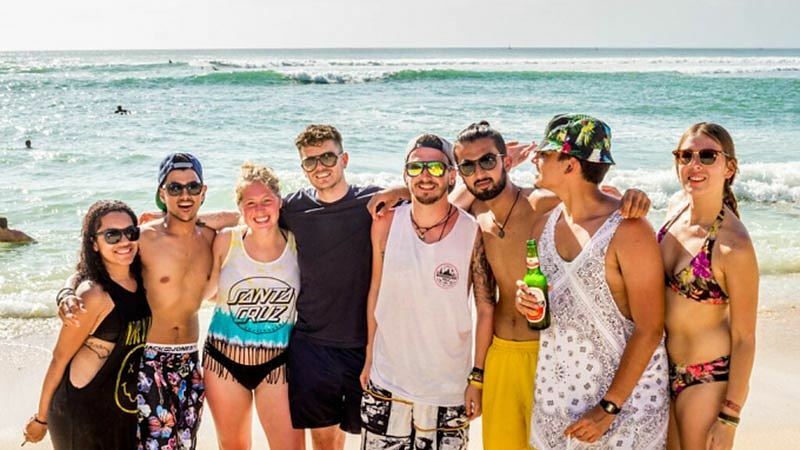 Groups such as Bali Happy Days, Bali Nights, Whazzup Bali and Bali Backpackers give you ideas on what’s happening in here and who else is around looking for travel companions. 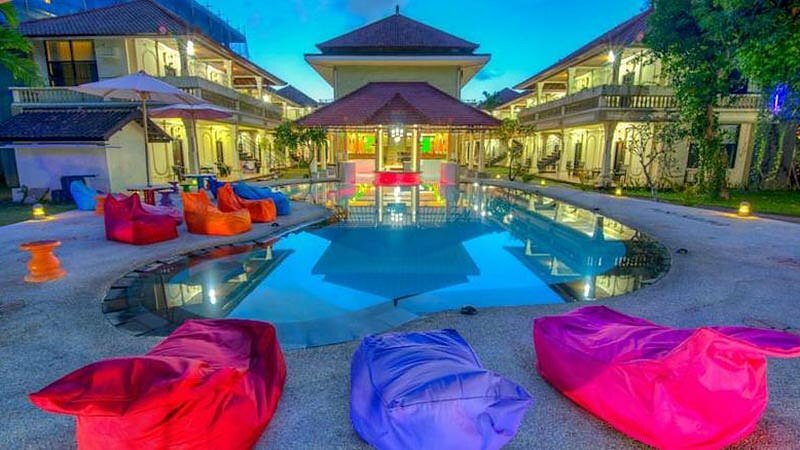 There is also a Couchsurfing Bali group that organizes weekly meetings for people travelling here. Travel forums such as Travel Buddy are a good help in research, meeting other travellers and sharing advice. 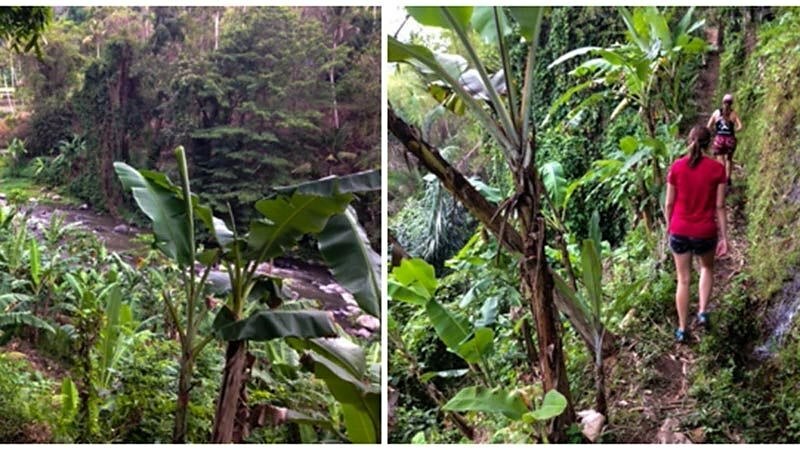 Hash House Harriers organizes hash runs through villages, rice terraces and jungle ravines Mondays, Thursdays and Saturdays starting at 4.30pm. Anyone who wants fun, fitness and friendships can join for the price of Rp.120 000. At the end of your run you can chill out with your newly-made friends and take in the scenery with free-flow beer in hand. Of course you could just lay by the pool or on the beach waiting for someone to start up a conversation with you or start your night at one of the many bars advertising happy hours. There are so many things to try out in Bali. You can join a group activity like yoga, pole dancing, muay thai or surfing course, or book a sporty trip. 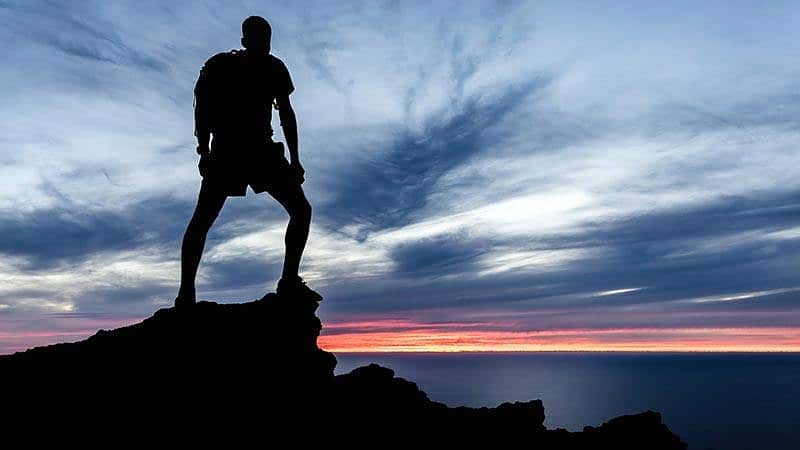 Trekking Mount Batur or Mount Agung at sunrise, white-water rafting on the rapids of Ayung or Telaga Waja river, diving courses or wreck-diving in Tulamben, cycling through the rice fields and villages at Kintamani, horse riding on Canggu beaches and villages and canyoning in the north of Bali are just a few options to choose from. For less adventurous people there are for example Balinese cooking classes and sightseeing tours on offer. The best way to immerse yourself in the language and culture is taking part in a Bahasa Indonesia course. These courses usually last 3 to 4 weeks and are quite intensive, but definitely worth the while for travellers who wish to spend more time in Bali or other parts of Indonesia. Cinta Bahasa Indonesian Language School has offices in Ubud, Kuta, Canggu and Sanur and offers small-group beginner courses. They have certified and experienced teachers who teach the natural Indonesian rather than the formal language out of a textbook. Seminyak Language School offers short-term packages for tourists, where the focus is on communication and conversations. One of my absolute must-do recommendations for Bali is joining a surf/yoga/something else camp or a wellness retreat. It’s the best way to experience community feeling combined with activities, scrumptious meals and total relaxation all in one. Rapture surfcamps offer highly-recommended, family-run surfcamps in Pecatu, south of Bali. There are so many good surf spots around for beginners, intermediates and experienced surfers. Everyone is made to feel more than welcome and people form lifelong friendships while honing their skills or just chillaxing. 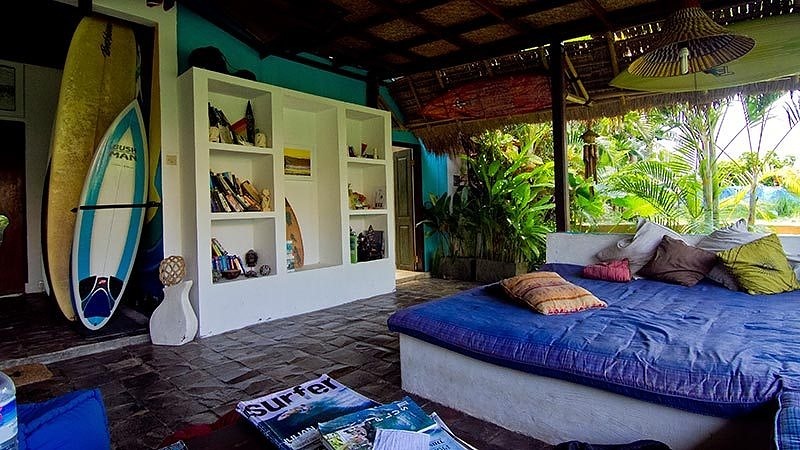 Another good option is The Chillhouse in Canggu. They offer stylish accommodation, delicious organic meals, surfing, mountainbiking, yoga sessions, body and soul treatments etc. The Golden Rock Retreat is an innovative detox and healing centre on the Northeast tip of Bali. There you can relax, unwind and experience the peace and tranquility of local Balinese life. Daily routines include meditation, yoga and healthy supplements. The retreat offers 4-10 day cleanses designed to cleanse the body and work on a physical, mental and spiritual level. For the ultimate experience in meditation, yoga, prayer and restful contemplation all done in silence, book a retreat at Bali Silent Retreat. The retreat is surrounded and protected by rice fields, jungle, Mount Batukaru and spiritual essence. Such a perfect place to take a time-out, nourish your body and soul and find yourself again.